This is the legendary Glen Campbell’s final studio album. During his 50 years in show business, Campbell has sold 45 million records with hits like “Wichita Lineman,” “Gentle On My Mind,” “Rhinestone Cowboy,” and tons more. “Ghost On The Canvas” is his “farewell album,” a deep, meaningful look back at his career/life with contributions by the artists he continues to inspire. 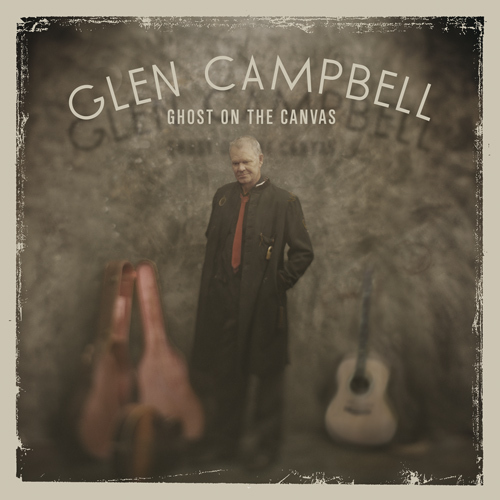 Simply put, Ghost On the Canvas is the album of Glen Campbell’s life.